A ‘MUST-HAVE’ FOR ALL CLASSIC MOVIE AND HOLLYWOOD BUFFS! Performed by the Paragon Ragtime Orchestra (19-piece version), Rick Benjamin conductor. “Appassionato No. 1” (1923), Erno Rapée/William Axt. “Creepy Creeps: Mysterioso” (1922), Gaston Borch. “Novelty Hurry (For Airplanes…)” (1920), Christopher O’Hare. “Storm Music” (1919), J.S. Zamecnik. “The Trysting Place” (1924), Victor L. Schertzinger. “Prelude to ‘Western American Drama’” (1924), Maurice Baron. “Agitato Drammatico” (1925), Domenico Savino. “Savage Carnival: A Wild Man’s Dance” (1923), Erno Rapée/William Axt. “Grandioso (Depicting Grandeur, Vastness, Triumph)” (1918), Otto Langey. “Agitato (For general use)” (1914), Mayhew Lake. “Grotesque Elephantine” (1918), Lester Brockton. “Emotional Andante” (1925), William Axt. “Pizzicato Misterioso No. 30” (1916), Adolf Minot. “Prelude to ‘Romances of the Seven Seas’” (1924), Maurice Baron. “Mystery–Hurry (Haunted Houses)” (1925), Irénee Bergé. “Hindu (For Oriental Scenes)” (1924), J.S. Zamecnik. “The Funny Guy” (1928), (Mayhew Lake). “Silent Sorrows” (1918), Gaston Borch. “Dramatic Agitato No. 38” (1917), Adolf Minot. “Battle Scenes (Hurry No. 4)” (1916), Adolf Minot. “Zip (For Magazines, Weeklies, and Comedies)” (1925), Hugo Frey. “May-Dreams (For Romance)” (1918), Gaston Borch. “Western Allegro” (1923), Erno Rapée/William Axt. “Dramatic Tension For Subdued Action” (1916), J.E. Andino. “The Moving Picture Rag” (1914), Ribé Danmark. “Old Ironsides March” (main title, 1926), Hugo Riesenfeld. “What a wonderful surprise this album is. The music is grandiose and expressive…. Since the advent of sound films (i.e. “talking pictures”) in the late 1920s, movie music was usually preserved on the films themselves, and can still be readily experienced in screenings and via DVDs and the Internet. On the other hand, the authentic soundscape of the so-called “silent era” is hardly available at all. Yet the amazing fact is that the nearly the entire “language” of film music as we know it today developed during the silent film era; there was — and still exists in the form of written scores — a vast and beautiful repertoire of film music created by talented composers during the 1910s and ’20s. But until now, virtually none of this important and fascinating music has been available on recordings. Into this surprising historical void comes this album, which presents for the first time the original scores of America’s pioneer film composers, including William Axt, Maurice Baron, Irénée Bergé, Gaston Borch, M.L. Lake, Erno Rapée, Hugo Riesenfeld, Victor L. Schertzinger, J.S. Zamecnik, and 8 others. The 28 pieces are sequenced so as to lead listeners into creating their own imaginary “daydream movie” as the CD is played. 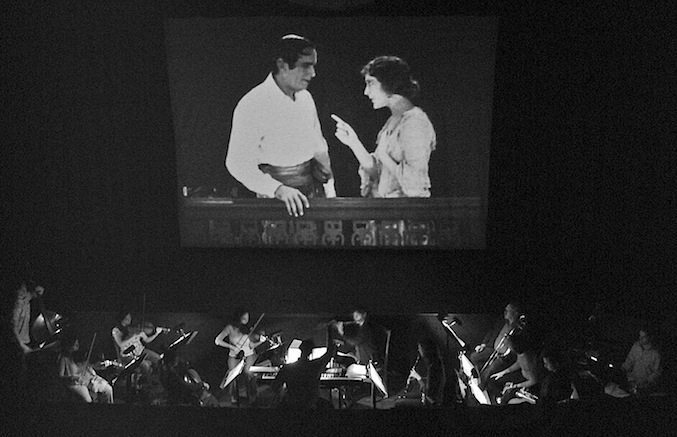 This album also includes a fascinating 52-page booklet exploring the world of silent film music: the widespread use of cinema orchestras, the methods for scoring (“setting”) the films (“photoplays”), period performance techniques, and the influence of brilliant music loving exhibitors like the great Roxy (Samuel L. Rothafel). Detailed biographies of the composers are also included, most for the first time anywhere. 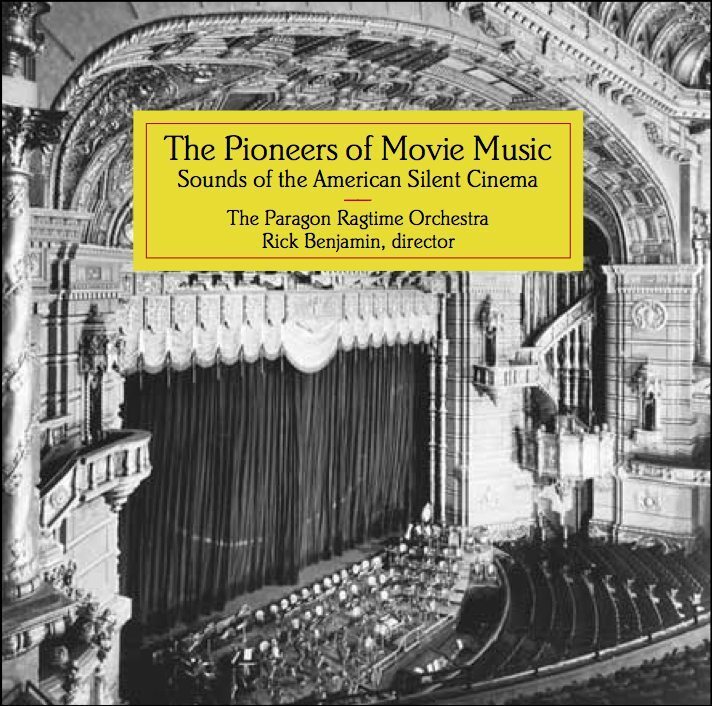 The rare original film orchestrations recorded have been selected from the Capitol Theater’s 1,000–title collection of c. 1912 to 1928 cinema scores, played by one of the world’s leading silent film accompanists — the Paragon (Ragtime) Orchestra, conducted by Rick Benjamin.